Our competition aims to highlight what makes the Ancient World so exciting and interesting. We are looking for innovative and engaging films by Canadian high school students that explore a classical object or topic in under four minutes. A prize of $500 will be offered for the best entry, with two runner-up prizes of $200. The best entries will also be put on our website dedicated to the competition, which will run annually. You are invited to form a team of up to four members in Grades 9-12, that is aged between 14 and 18. You then need to select an object or a topic on which to focus, and consider how best to present it. Remember that film is a visual medium, so it has to look interesting as well as sound interesting. Even 4 minutes can seem like hours if your video doesn’t have some visual interest and variety in it! The video may be in English or French. 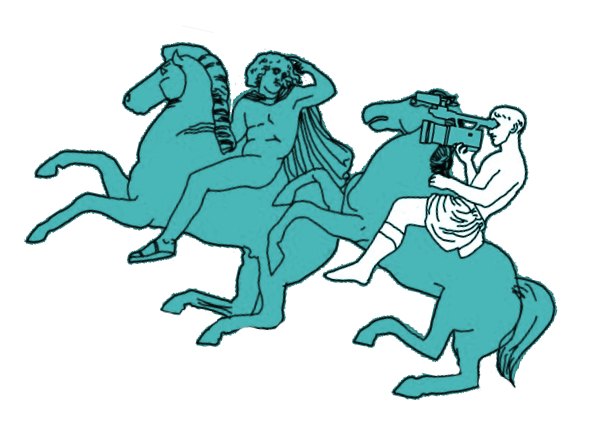 It’s your choice as to what topic you choose for your film, so long as it’s something drawn from the Graeco-Roman world. Possible subjects might be ‘Why did the Persians invade Greece?’ or ‘A day at the racetrack in ancient Rome’. Or you can deal with a work of literature, like a play by Euripides or a poem by Ovid. Alternatively you could focus on a work of ancient art, such as a vase, a coin or a statue. Not every member of the team needs to appear in front of the camera; you may wish to spread the tasks of writing, recording and presenting your ideas. The film may also include other individuals, as long as they agree to take part. The judges will be looking for films that show real thought about the subject you are presenting and that use the video format effectively to make your film interesting and rewarding to watch. The first prize is $500, with two runners-up prizes of $200; the top videos will be put up on our website for all to enjoy. Good luck. We look forward to watching your film!